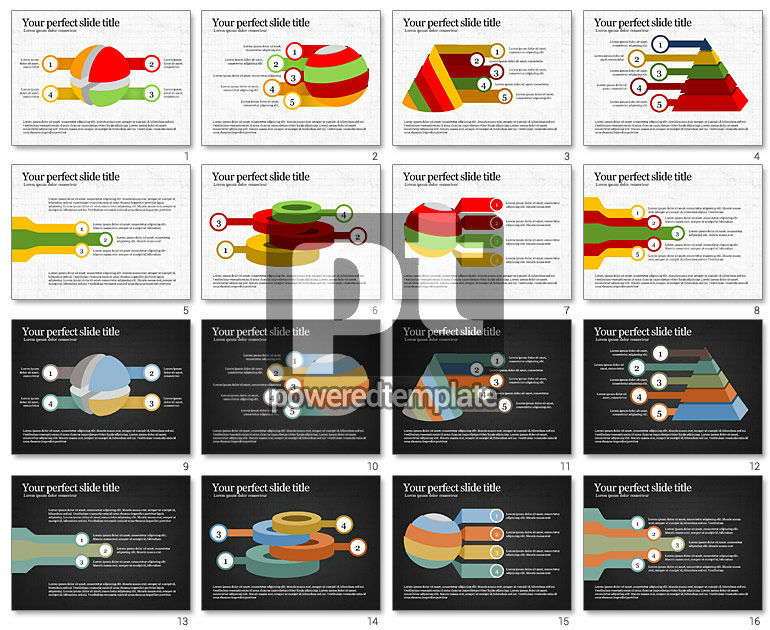 These presentation slides 51118 are complete compatible with Google Slides. Simple download PPTX and open the template in Google Slides. Such presentation includes a great collection of diagrams for showing shapes and stages process in business, marketing, advertisement, finances and the like. Every slide has unique and unusual colorful shape such as a ball, a pyramid, and rings where each layer or a part symbolizes the new stage with brief explanation near it.